Rain, snow, flood alerts – not my kind of a weather. 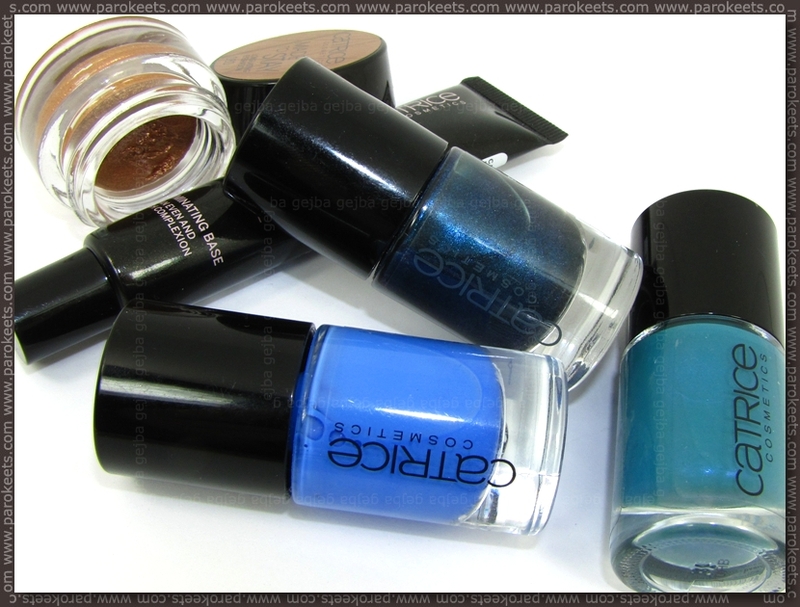 So I pulled out swatches from one of my August play sessions with new Catrice nail polishes to remind me of sun, sea and shot sleeves. 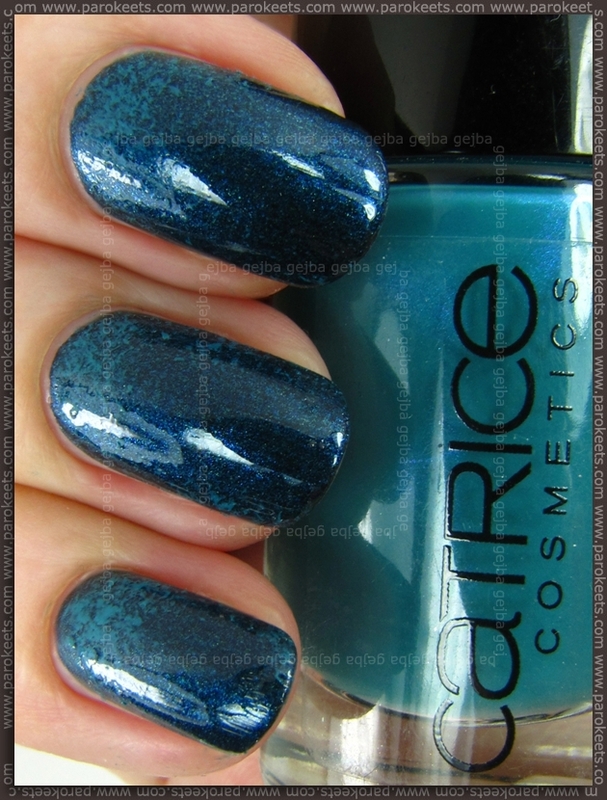 Catrice George Blueney is for me personally the prettiest nail polish among their new fall 2012 shades. 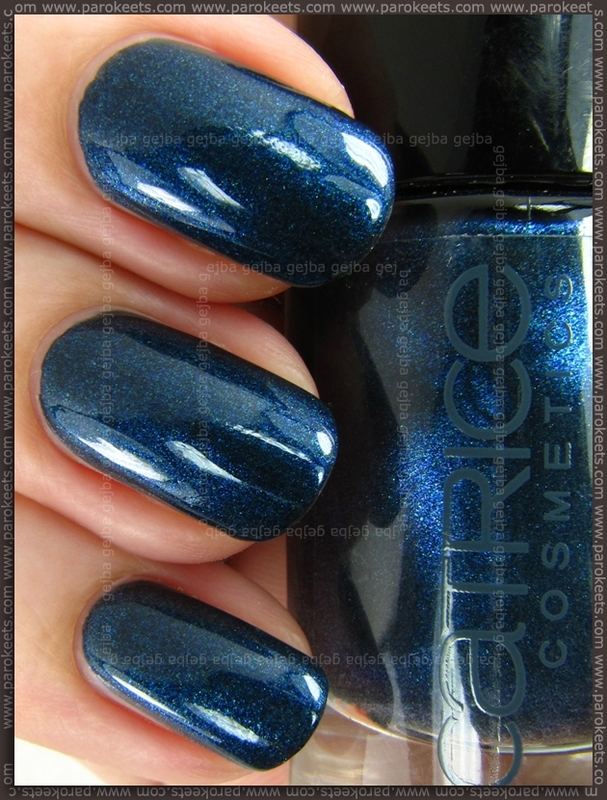 Gorgeous dark blue shimmery shade that was not hard to apply and gives my nails almost vampy look without being too dark + shimmer does not turn invisible. Now I’m just hoping for at least one more month of fall weather and no more snow until the end of December. Nijedan od novih Catrice lakova koje sam kupila nije promašena investicija, ali mi se Blueney još uvijek nekako najviše sviđa. Nice combination. 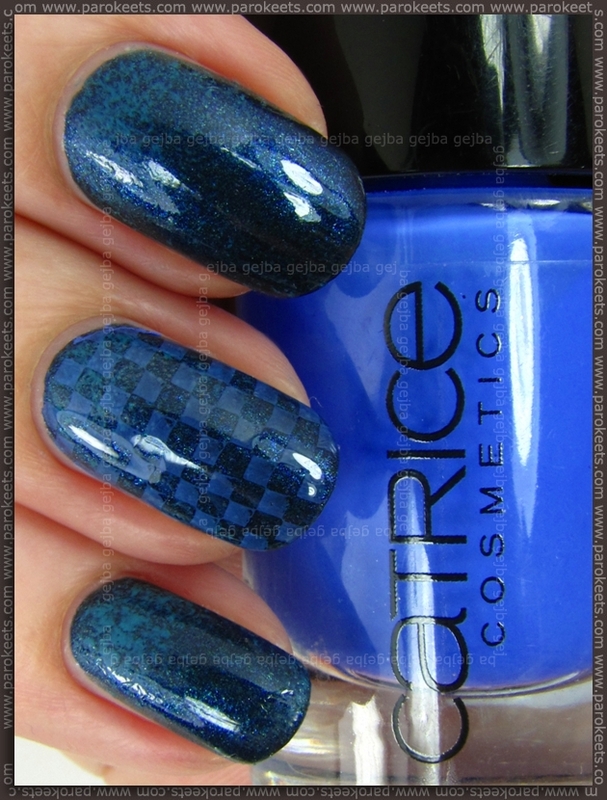 Are you sastisfied with essence plates? I am … as long as I thoroughly check them out in the store as not all of them are nicely engraved.